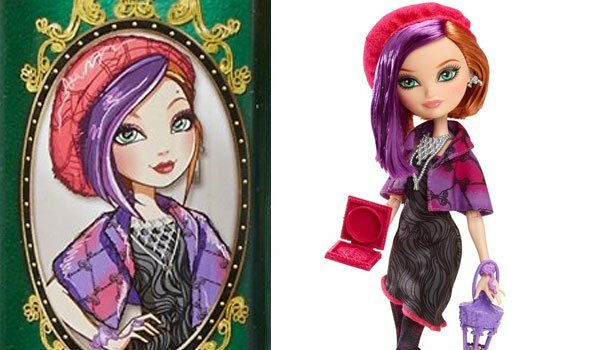 This is Holly O’Hair for the new doll line Through the Woods. 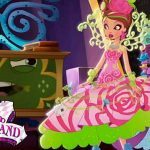 As you may know Poppy has the reputation of being the best stylist in the town. She is a free thinker who is very innovative. This doll has a little bit darker makeup with smoking shadow, which complements her turquoise eyes very well. Her jewelry is so cute, all made of small hairdresser tools like scissors for the necklace and a hair blow and a comb for the earrings. 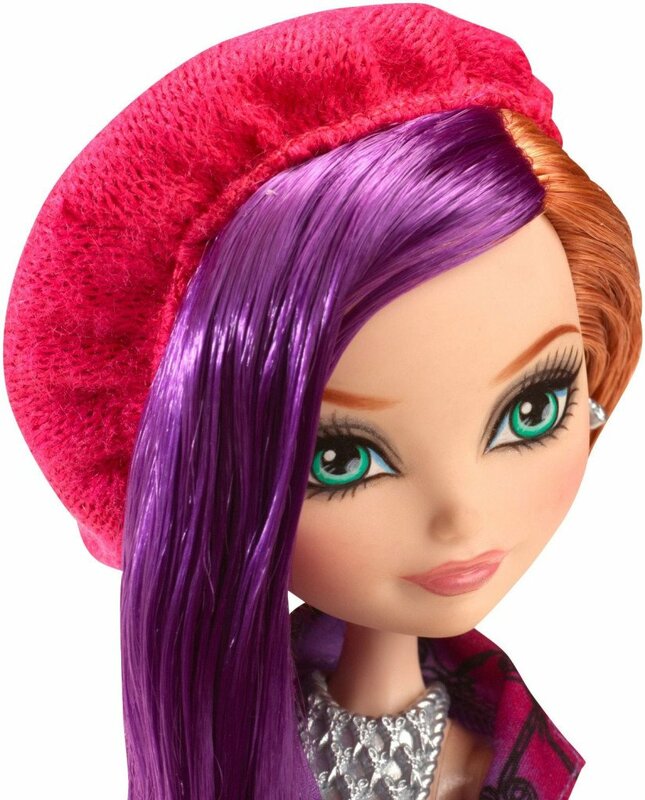 She wears a cool pink beret at the top of her double color haircut. Her jacket has scissors all over it, in a really cool pattern with a gradient color from pink to purple. Her dress complements her hair cut because one side is shorter than the other. Her leggings have like a grunge branch pattern. Black boots in patent leather are also amazing. Her accessories are a cute little purple lantern, a pink compass book and, silver hair brush and silver doll stand. 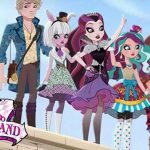 Her you can see Poppy O’hair in the new packaging of Ever After High dolls. Awesome doll! I can’t wait to get it! i absolutly love poppy o hair, especiallly this one! 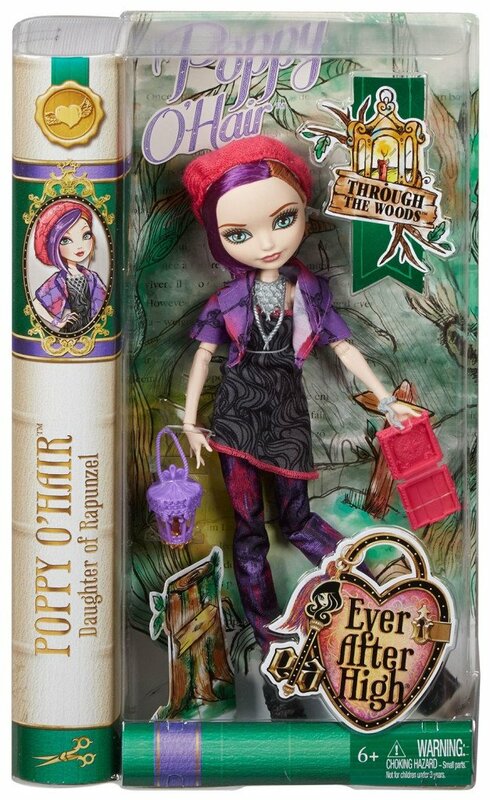 How do I order Poppy O’Hare doll for Christmas? ?